Nashville starter Eric Jokisch had a chance to get out of a bases loaded jam in the second but a throwing error by shortstop Sheldon Neuse allowed the inning to continue with a pair of runs scoring. Scott Van Slyke launched a solo homer in the fourth to give New Orleans a 4-0 lead. The four runs were more than enough for Ben Meyer, Drew Rucinski and Severino Gonzalez. Meyer threw five shutout innings in his Triple-A debut and yielded only one hit. The Sounds’ offense never got going with only three opportunities with runners in scoring position. Nashville and New Orleans conclude the five-game series Monday afternoon at Shrine on Airline. 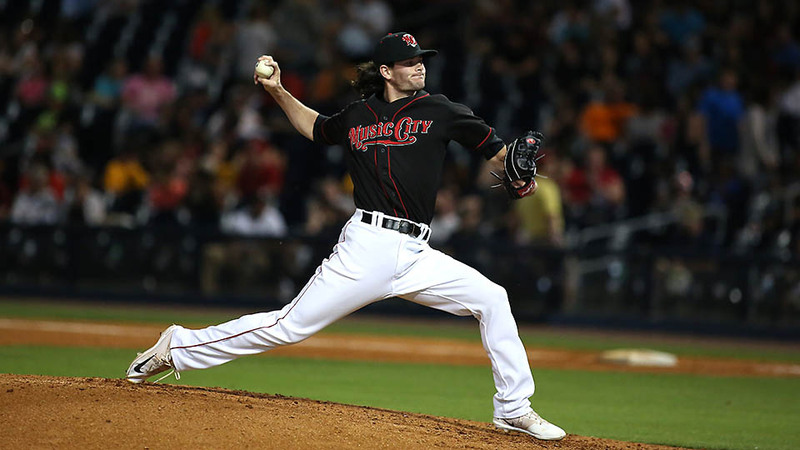 Left-hander Brett Anderson starts for the Sounds while the Baby Cakes haven’t named a starter. First pitch is scheduled for Noon. With today’s loss, the Sounds fell to 1-3. They are 2.5 games back of the American Southern Division leading Memphis Redbirds. Relievers Kyle Finnegan and Jeremy Bleich combined to throw 3.0 scoreless innings in relief today. The bullpen ERA on the young season is 0.49 (18.1 IP/1 ER). INF/OF Renato Nunez had one of the two Sounds hits today. He’s batting .333 (4-for-12) on his MLB rehab assignment.